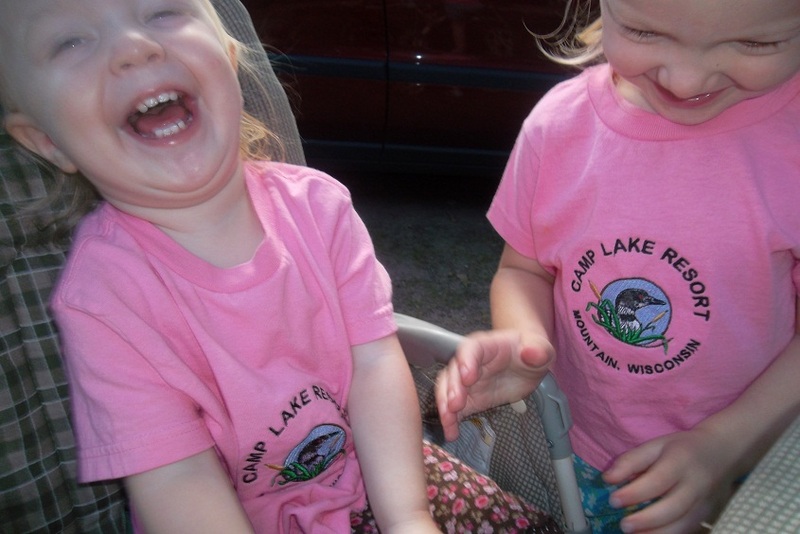 Camp Lake Resort has two colorful stone cottages, two log cottages, an A-Frame cottage (Pine Hideaway), and a newer gorgeous vacation home, Pine Haven. Each is unique in artistic design, inside and out. They are furnished for comfortable, relaxed and enjoyable vacationing. The grounds are clean, spacious and beautiful. The tall, graceful shade trees attract a variety of colorful song birds. Nearby woods provide opportunities for nature walks with many wild flowers, ferns and trees. Camp Lake Resort has 127 acres of private land, much of which borders the Nicolet National Forest. As one of our guests expressed it, "It is a peaceful, quiet haven." Camp Lake and several lakes in the area offer Northern pike, bass, perch, crappie and panfish. A boat is furnished with each cottage. The resort also has boats on three other good fishing lakes within walking distance which are available to our guests for no extra charge. Behind the Green Cabin is a beach which is open to all our guests. Rock Rest has a sandy wading beach for small children. In the vicinity there are gift and antique shops, a golf course, mini-golf, public beach with bath-houses, river rafting, and horse back riding. In winter the area is a mecca for cross-country skiers as well as snow-mobilers. We welcome both newcomers and our long-time friends to book a getaway with us! Come for a fun, restful, adventure to the Northwoods. Click a cottage below to view up to date calendar of reservations and photos! Visit our History page for our story. Click on Make A Reservation for information on cost and amenities.